It has been the longest in days between the end of last year’s New York State Fair and the the start of this year’s Fair. It really is the end of Summer. But, first, we have twelve days of fun, entertainment, farm animals and food…lots and lots of food. Highlights from the 2014 New York State Fair in Syracuse, New York. 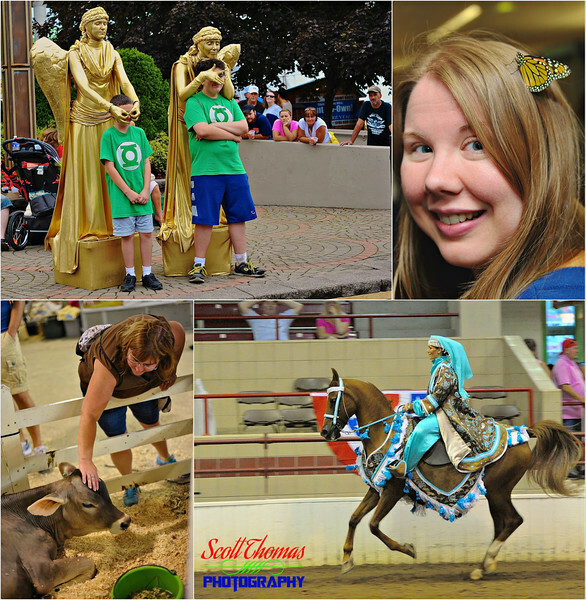 I will be heading to the New York State Fair a few times this year so look for more photos of all the fun and people I come across. See you at the Fair! This entry was posted in People, Travel and tagged animals, butterfly, entertainment, farm, horse, living statues, new york, New York State Fair, summer, syracuse. Bookmark the permalink.